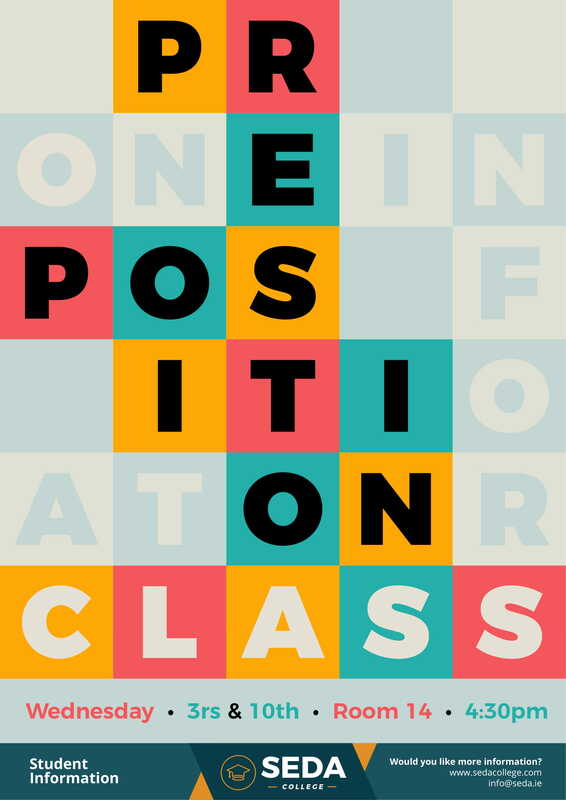 Having problems with prepositions? Now it’s time to get rid of small mistakes that keep you away from perfection. Sign up your names on the list and go for it. The classes will take place on the 3rd and on the 10th at 4:30 pm. This month SEDA will celebrate the richness of the Japanese culture. 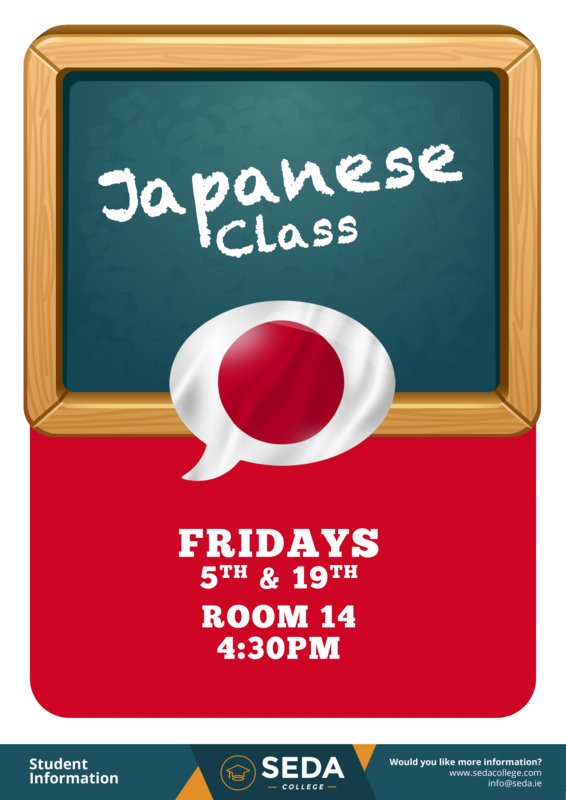 In order to match our activities with this important time of the year for the Japanese people, we will have some Japanese classes for you to get even more involved with this incredible country. 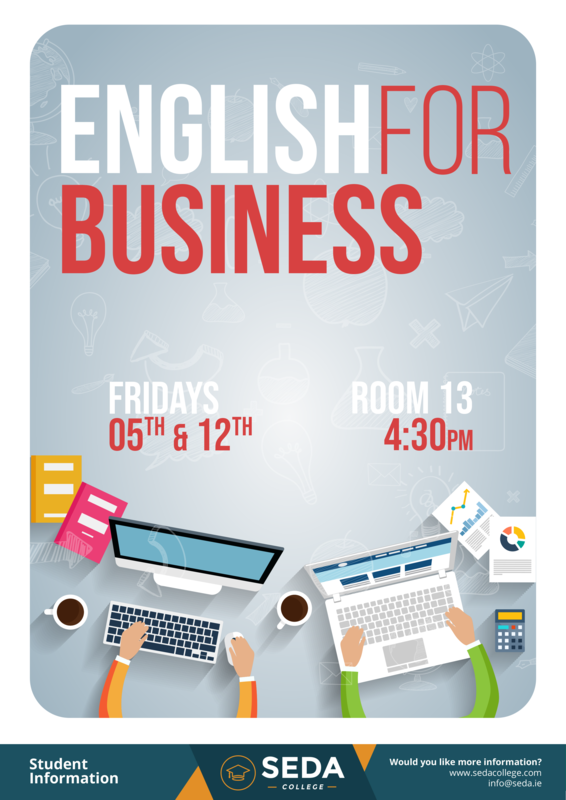 The classes will take place on the 5th and on the 19th at 4:30 pm in room 14. 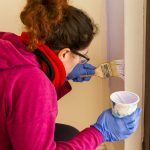 If you work or intend to work with something related to business, this class is perfect for you. In this class, you will learn some vocabulary that can help you to get a job and also to impress whenever you start working in a company. 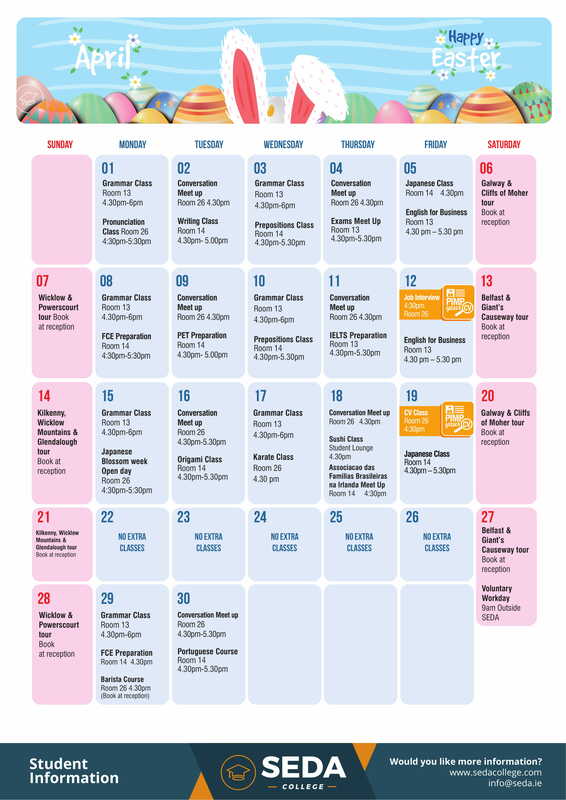 The classes will take place on the 5th and on the 12th. 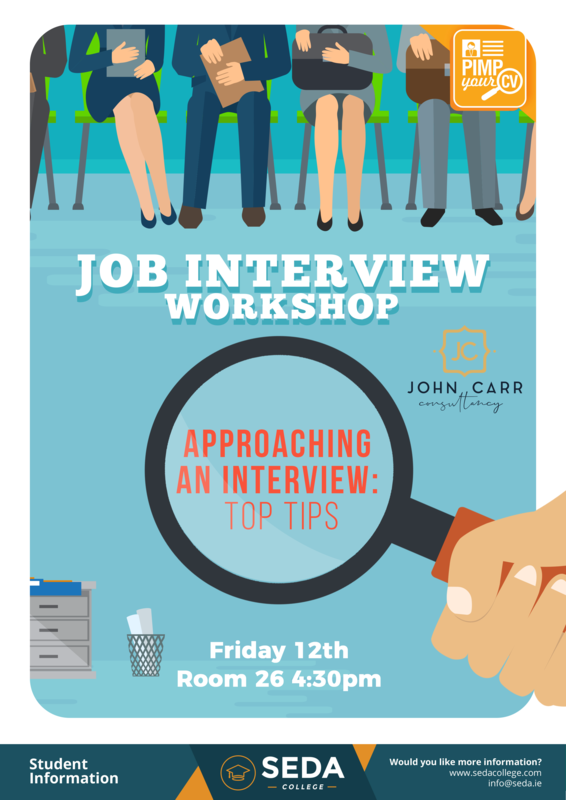 In order to keep the partnership that we have with JC Consultancy, in April we will have another job interview workshop. This time the class will take place on the 12th at 4:30 in room 26. Sign up your names on the list and go for it. This may change your perspectives in Ireland. 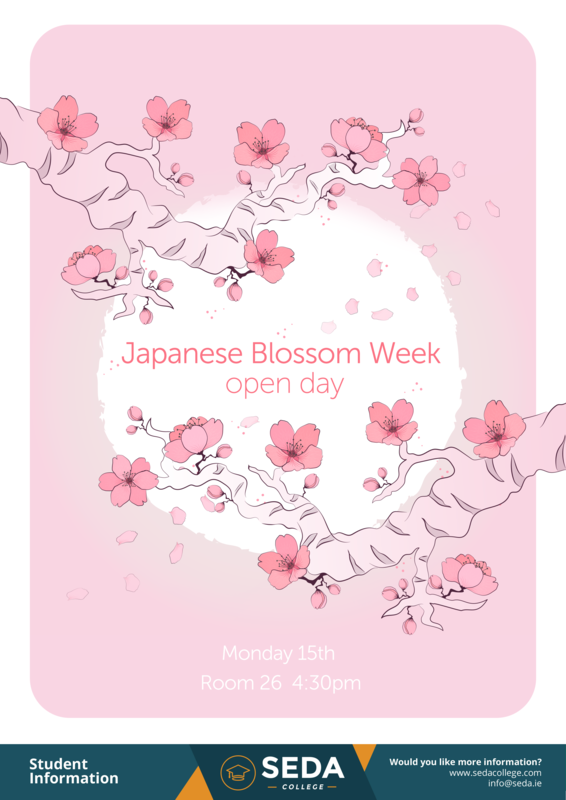 The first activity of the Japenese blossom week will be an open day where basically we will talk to you about what it is and also about some important points related to the Japenese culture. Don’t miss out on this chance. Sign up your names on the list. 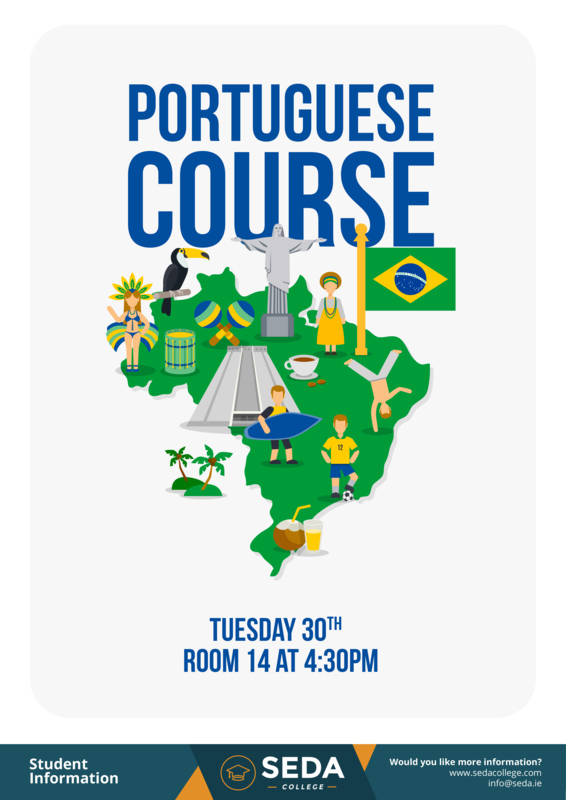 This class will happen on the 15th at 4:30 pm in room 26. Origami is that kind of activity that seems to be really simple but actually, it takes a lot of effort to get perfect results. This time you will have the chance to learn some incredible paper folding and origami creating techniques. Enjoy it then! 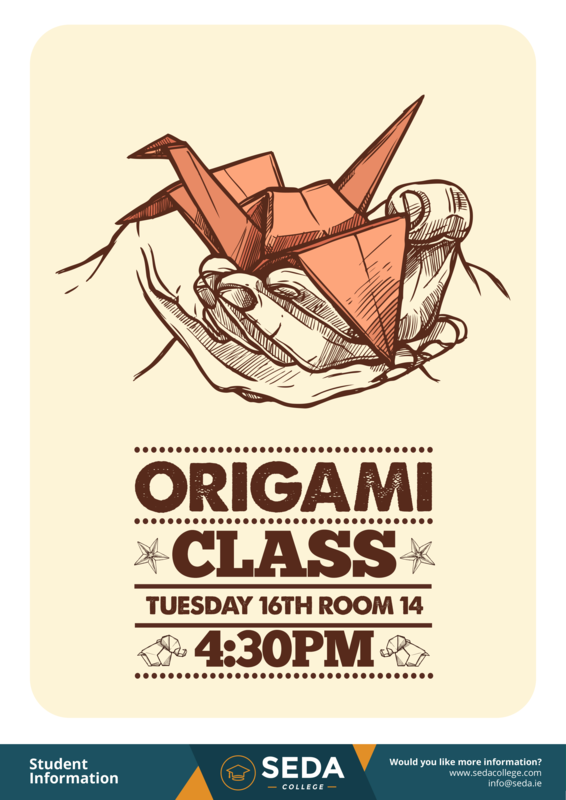 This class will take place on the 14th at 4:30 pm in room 14. Karate is one of the most popular Asian martial arts. This month SEDA brings this class for you to learn a little bit more about this incredible cultural and traditional practice. 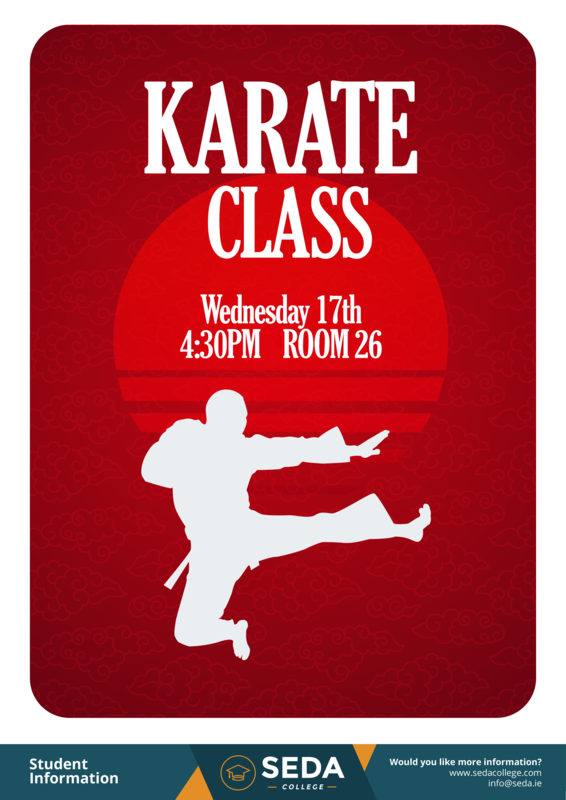 The class will take place on the 17th at 4:30 pm in room 26. Everybody loves Japanese food, right? So, this time we are bringing this class in order to teach our students how to make some delicious and traditional Japanese dishes. Don’t miss out on the chance to go to this delicious and amazing class. Sign up your names on the list before it’s too late. It will be in the student lounge at 4:30 pm on the 18th. 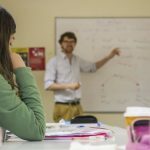 In the last month of our Portuguese course, you will have the chance to learn some different grammar structures and it will help you out a lot when you need to speak Portuguese. 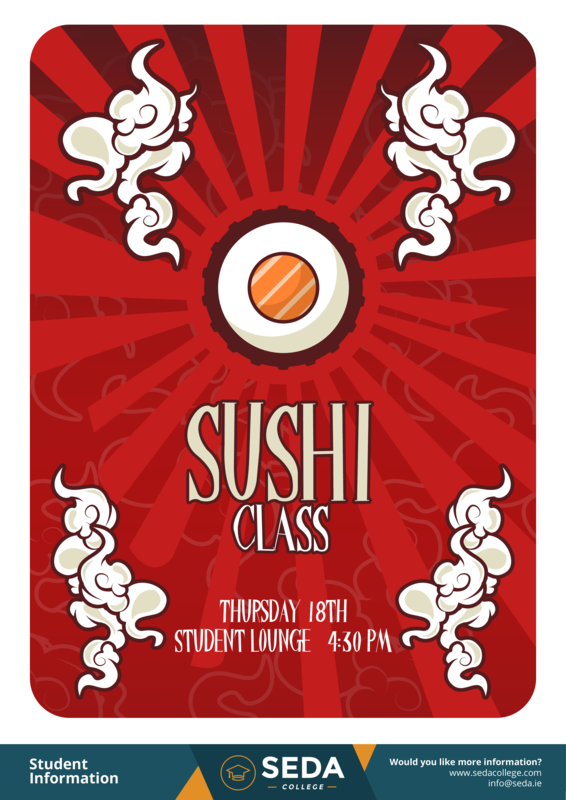 The class will happen on the 30th of April. Go for it! So what are you waiting for? Sign up your names on the lists and go for the extra classes. Make sure you will make the most of them. You won’t regret it for sure! See you, guys.